The infestation of insects can be distressing. 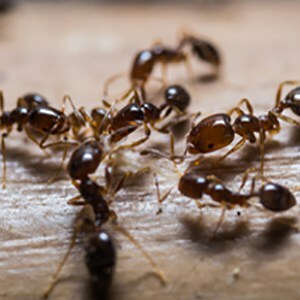 Our experienced Level 2 RSPH trained technicians can give advice and carry out treatments to help solve any insect problem that will save both money and problems in the long term. 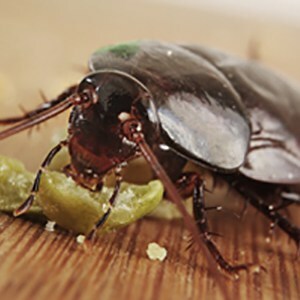 The type of treatment used depends upon the type and scale of infestation identified. We always seek to use the most eco-friendly treatment possible, though our primary goal is to eradicate your insect problem. Prevention: Vacuum infected areas thoroughly to eliminate fleas and their eggs and empty the cleaner regularly. If you have pets ensure they are regularly groomed and wash their bedding weekly above 50°C. Treatment: PH neutral spray treatments for maximum effectiveness. Prevention: Regularly change vacuum bags, wash and clean furnishings and furniture in the affected area. Treatment: Insecticide bait stations, repellents. Prevention: Seal any obvious entry points, ensure food prep areas are cleaned regularly and store any foodstuffs in airtight containers. Treatment: Wasp nest treatment with the application of powders. Prevention: Traps, zappers and insect screens. Treatment: Sprays and EFKs (electronic fly killers). Prevention: Fly screens, denying access. Cover foodstuffs and clean down food prep areas. Remove any fly carcasses. Treatment: Sprays, heat and fogging treatments. Prevention: Clean and tidy rooms regularly, wash clothing and bedding at higher temperatures. Treatment: Powders, sprays, sugary baits. Prevention: Damp management, improved ventilation, remove dust and debris. Treatment: Targeted use of flushing sprays and gel baits. Prevention: Eliminate food sources through daily rubbish disposal, good food hygiene and deep cleaning. Seal likely cockroach entry points.